In the year 1985, when sisters Kavita Sanghi and Neena Somani first showcased their collection of Maheshwari suits, little did they know that it would result in a sellout within an hour — and turn them into trailblazers in the evolution of the textile which originated in the 18th century. As revivalists of the old and forgotten charm of the Maheshwaris, Khoj emerged as benefactors to the weavers, and pushed the envelope to reintroduce the art. “It was a bold step for us as Maheshwaris were only worn as saris, and a lot of people would tell us that we wouldn’t be successful. But I remember the first time we showed our products, it was a huge success and we saw the crowd coming in till late hours, asking for more. 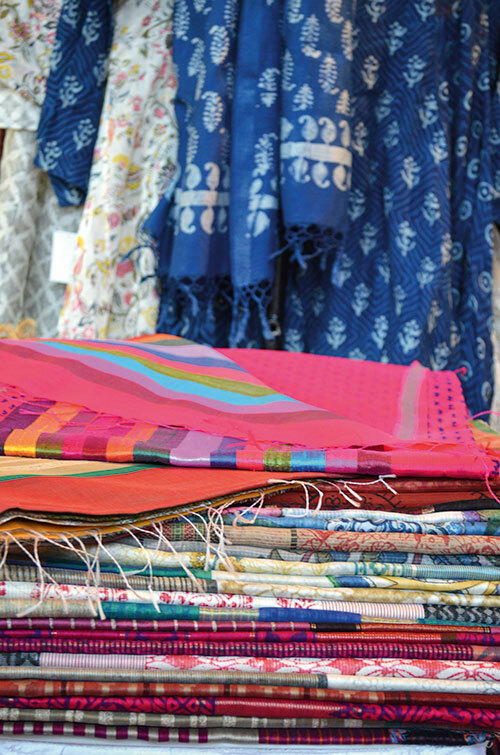 We were the pioneers in taking the Maheshwari craft beyond saris,” says Sanghi as she takes us through their latest collection of salwaar-kameez, kurtas, scarves, saris and dress material at Tranceform, Mumbai. The power team of two creates two collections every year which they showcase at multiple exhibitions — and the fact that they are based in different cities never comes in their way. “The process of bringing out a collection is a time consuming one – and takes about six months to develop and produce a new print. For every show, I develop two or three new prints and the same with weaves and colour combinations. Since I live in Delhi and Kavita in Indore — we have divided the process based on our expertise,” says Sanghi. “She works with prints and designs on the fabrics whereas I have a flare for cutting so I handle the styling in terms of shapes and silhouettes of the garment. Once the prints and designs on the fabric are finalised, she sends them to me,” adds Somani. 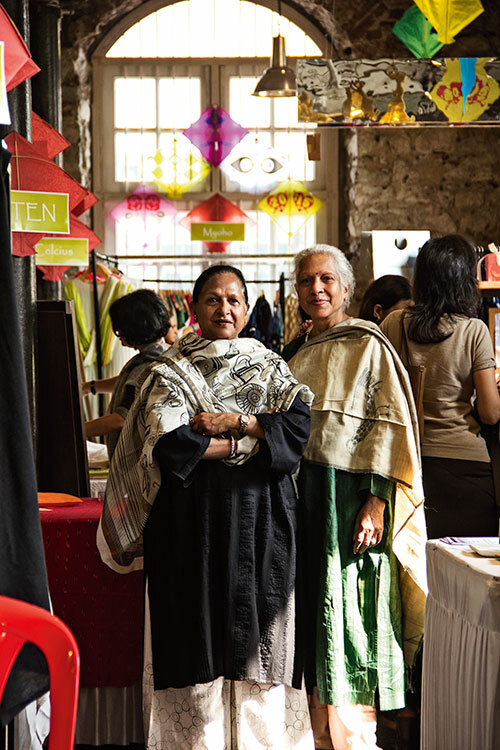 As they showcase saris, scarves and salwaar-kameezes in Mumbai, Kavita and Neena are intent on breathing life back into the forgotten craft, giving Maheshwari weavers a much needed market outside Maheshwar. Having come a long way since their first show, the sisters confess about contemplating retirement, but at the same time, as long as their work brings satisfaction and creativity, the designers will go on building eclectic wardrobes for modern-traditional women. It will take more than age to hold them back from fabricating heirloom worthy sartorial beauty.